As part of a 120-day review period, the Potomac Nationals (High A; Carolina League) and city officials are continuing discussions about a new Fredericksburg, VA ballpark. On July 10, the Fredericksburg City Council approved a letter of intent with P-Nats ownership on plans for a new $35 million ballpark. The proposal calls for the 5,000-seat ballpark to be constructed in Celebrate Virginia South, on land owned by The Silver Cos., which would contribute $100,000 annually to the project. The ballpark would be privately financed by P-Nats owner Art Silber and his family, with the city making an annual payment of $1.05 million to the team for 30 years as an anchor tenant. The city’s contribution would be covered by taxes from the ballpark, and revenue generated from use of the facility on non-gamedays. Under the current design concept, the ballpark is slated to feature several amenities, including a 360-degree concourse and club space that is open year-round for events. Art Silber and his family, who own the Potomac Nationals, will hold a community meeting to share information and get the public’s feedback on the proposed stadium at 7 p.m. Wednesday at the Dorothy Hart Community Center, 408 Canal St.
They’ll also come before Fredericksburg’s Planning Commission Sept. 12 to seek several amendments. These include adding a public-use stadium to the city’s comprehensive plan, realignment of the right-of-way in Celebrate Virginia South and a special-use permit for the stadium. 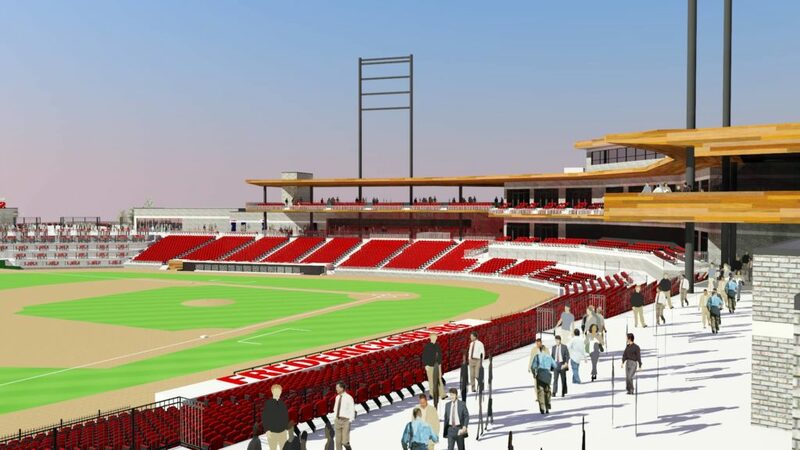 The Class A affiliate of the Washington Nationals is in the midst of a 120-day study period triggered when City Council signed a letter of intent with Potomac Baseball LLC on July 10 to build the stadium. It is planning the stadium, seeking approvals from Minor League Baseball and the Carolina League, securing financing and obtaining approvals from the city.